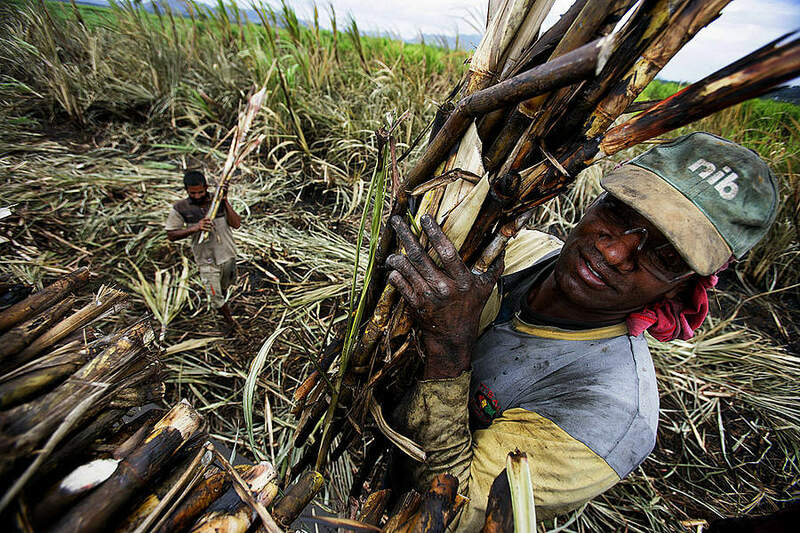 Fears of the collapse of Fiji’s multi-million dollar sugar industry prompted its government late last month to opt for an Interim Economic Partnership Agreement (IEPA) with the European Union. Investigations by Islands Business magazine had shown that once Fiji’s sugar exports to the EU market are taxed, Fiji sugar will be deemed unviable which would probably lead to the collapse of the entire industry of 24,000 growers and their families as well as the hundreds more who work in the Fiji Sugar Corporation’s four sugar mills. The ramifications of such an economic fallout will be disastrous, something the Fijian Government of Prime Minister Frank Bainimarama can ill afford on the eve of its September 17 general elections. Our investigations show that Fiji’s sugar currently fetches around €400 Euro (AU$570) in the EU market. Once our current trade agreement under Lome lapses, Fiji’s sugar will automatically cop duty of €339 per tonne. This leaves Fiji with a mere €61 per tonne in revenue, rendering the entire sugar market unviable. By soon, he actually meant the next day as Aiyaz Sayed-Khaiyum Fiji’s Trade Minister and also the Attorney General released a largely vague but carefully-worded statement through the Fiji Ministry of Information. “The Bainimarama Government is taking the necessary measures to ensure that preferential market access of Fiji’s most important exports—sugar, fish, garments and processed foods to the EU will not be disrupted by a lapse in a trade agreement with the European Union,” the statement reads. The statement added that Sayed-Khaiyum had notified his European Union counterpart of the Fiji government’s change of heart. When this magazine got hold of the statement and posted it on its website and reported that Fiji has done a back flip over signing onto an IEPA, Ali telephoned the writer to object to the use of the word “back flip” and also to correct the assumption that Fiji has finally decided to ratify its IEPA it had signed way back in 2009. “Fiji did no back flip over EPA with EU, says Trade Secretary,” reads the headline of our second posting on our website. “Fiji is only provisionally applying an interim EPA with the European Union, says Fiji’s Permanent Secretary for Trade & Industry Shaheen Ali,” the story reads. “In so doing, Fiji has not back flipped nor has it agreed to ratify the interim Economic Partnership Agreement with the Europeans. He said contrary to what we had reported, Fiji has not agreed to ratify the interim EPA, because ratification can only be done by parliaments. Contacted the day after news broke of Fiji’s accession to an IEPA with the EU, the Head of the European Union Delegation for the Pacific based in Fiji Ambassador Andrew Jacobs confirmed the deal with the Fijian Government. “The possibility of provisional application is a standard clause in trade agreements included in the original text of the interim EPA that was agreed on in 2007 and signed in 2009. The European Union itself started first with provisional application of the interim EPA from 1 January 2008 until the conclusion of the internal EU procedures for ratification in January 2011,” Ambassador Jacobs said in his written response. Asked whether Fiji’s accession to its IEPA was late given that the EU itself had concluded its ratification process in January 2011, the EU senior diplomat added: “Provisional application is a temporary solution to enjoy the benefits of a trade agreement while the formal ratification process is being concluded. It is part of the interim EPA and has been available to all three Parties to the Agreement: Fiji, PNG and the EU. Both the EU and PNG ratified the IEPA in 2011. In Fiji, the IEPA has not been in force until now in the absence of either provisional application or full ratification. In the course of our investigations, Islands Business came across a letter from the European Trade Commissioner Karel De Gucht who warned Fiji about losing its current duty free market access if it does not assent to its IEPA by October 1. Dated April 29, De Gucht said Fiji needed to notify the EU of its decision by mid-May. “This would allow the EU to launch a procedure to reinstate the country in the list of beneficiary countries under the Market Access regulation,” he states in the letter. “This involves the adaptation of a delegated act by the Commission, which normally takes six to eight weeks before the act is transmitted to the EU Council of Ministers and the European Parliament. “Such an adopted delegated act shall enter into force only if no objection has been expressed either by the European Parliament or the Council within a period of two months of notification of that act to both institutions or if, before the expiry of that period, these institutions have been informed the Commission that they will not object.